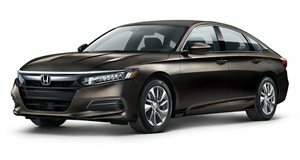 The Accord LX cuts back on many niceties in order to slash the entry price of the 2019 Honda Accord, making do with a smaller infotainment screen, fewer speakers, and no access to Android Auto and Apple CarPlay. Still, for the money the base engine is impressive, Honda Sensing safety equipment is standard, and you get LED exterior lighting and an endearing chassis. We wish more was offered in the way of infotainment, as rivals offer full smartphone compatibility on their base models. You can, however, option a wireless charging pad and rear charging USB ports on the Accord.